Lt. Hawes, of the 49th Fighter Squadron, was in the process of transitioning to the newly arrived P-84Bs that had recently replaced P-47s in all three 14th Fighter Group squadrons at aDow AFB. 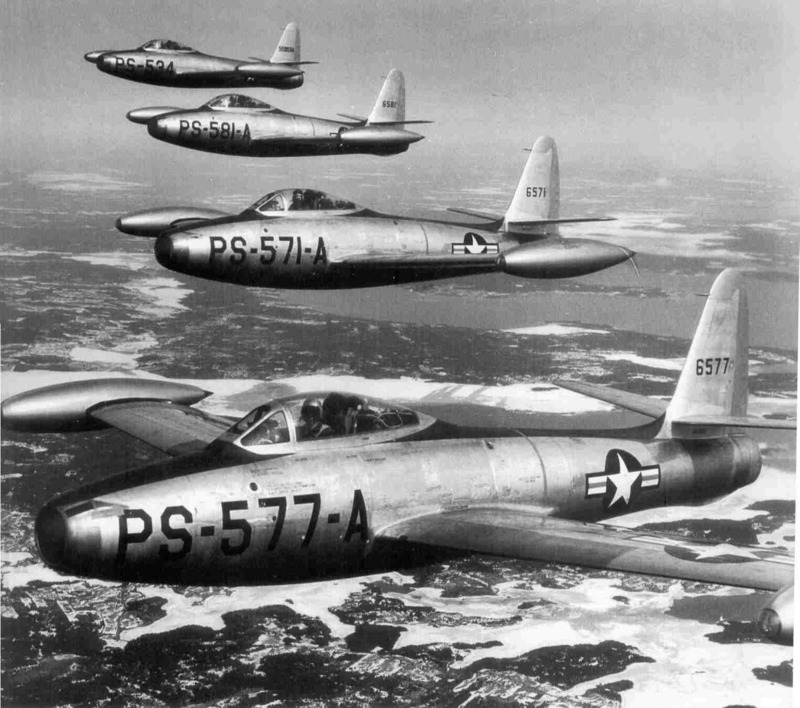 He had nearly 200 hours in P-80 "Shooting Stars", but only 9 hours in the P-84. He had been married only the month before. The flight was scheduled to last one hour forty-five minutes and was to be for the purpose of high altitude transition training in the designated "transition training" area, a triangle between Bangor, Rockland, and Augusta. The high winds aloft (> 60 kts) appearantly pushed the aircraft out of the area without the pilot becoming aware until he could see an unfamiliar coastline to the east. He called Dow for a homer "fix" and was given a bearing on the field. He stated that he had marginal fuel remaining to make the base. Shortly thereafter, he orientated himself over the Deblois Bombing Range which had a gravel landing strip. The tower officer advised him to land at Deblois. 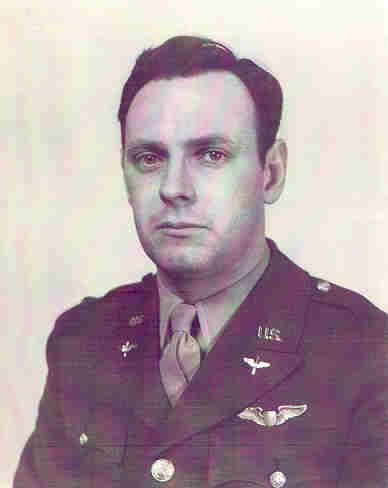 At this time, several P-84 pilots aloft began talking to Hawes on the radio. One recommended that he retard his throttle setting and head for Dow. Hawes returned to his bearing on Dow and was intercepted by a P-84 from the 37th FS near Graham Lake. There were severe winds from the west and it was soon appearant that Hawes could not make the runway at Dow. As they approached Route 9 near Clifton, the other pilot advised him to bail out or find a place to belly land. Hawes set up a downwind leg on a large field near Archer's Corner in Amherst and turned on base leg as his fuel ran out. The aircraft's sink rate was too great and the aircraft struck a small knoll, a mile short of the field, breaking up and killing the pilot. There had been several take-off and landing mishaps at Dow before this, but his was the first of many fatal P/F-84 accidents to occur in Maine. The old road near the crash site. At least it is high and dry as Maine crash sites go. 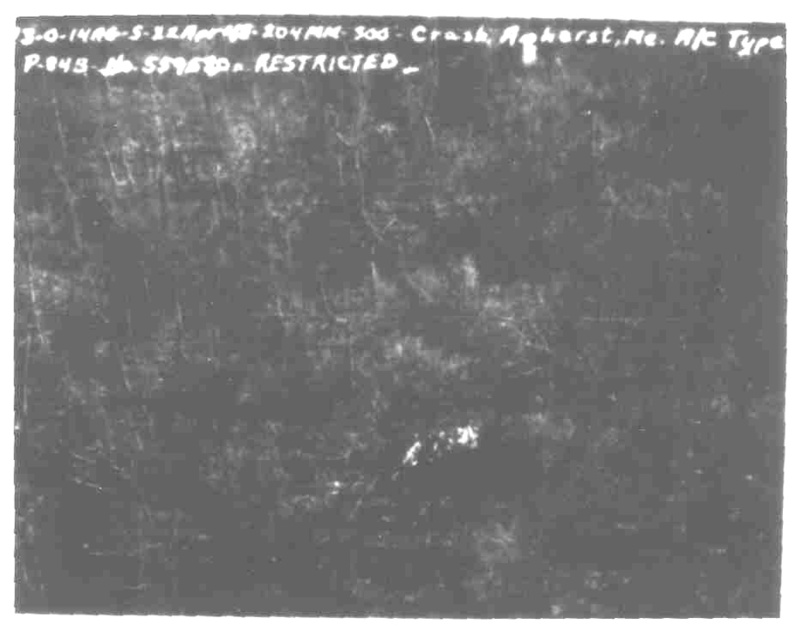 An aerial photo of the site from the crash report. The wreckage is visible near the lower center of the photo. 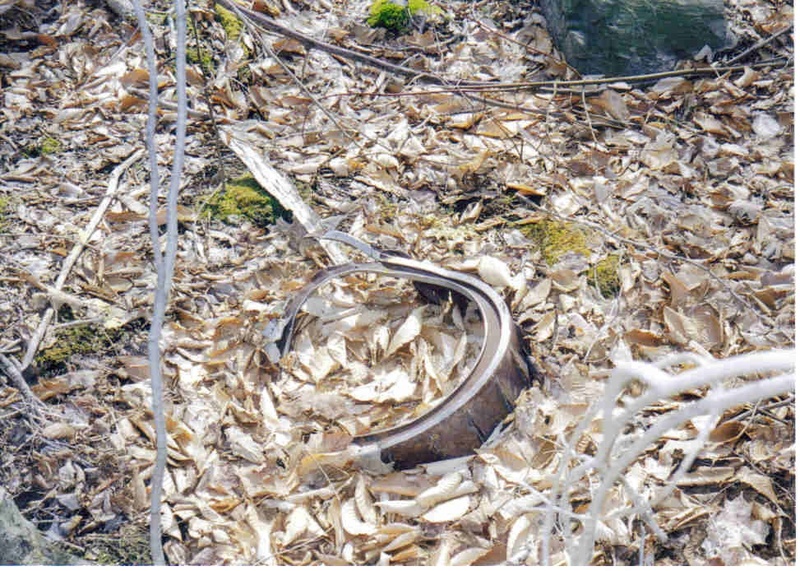 Its proximity to a highway and a nearby woods road has allowed most of the wreckage to be carried away over the years. The site is classifiable as a "micro" site, with less than 10% or the aircraft remaining. This engine frame is one of the larger pieces still at the site. 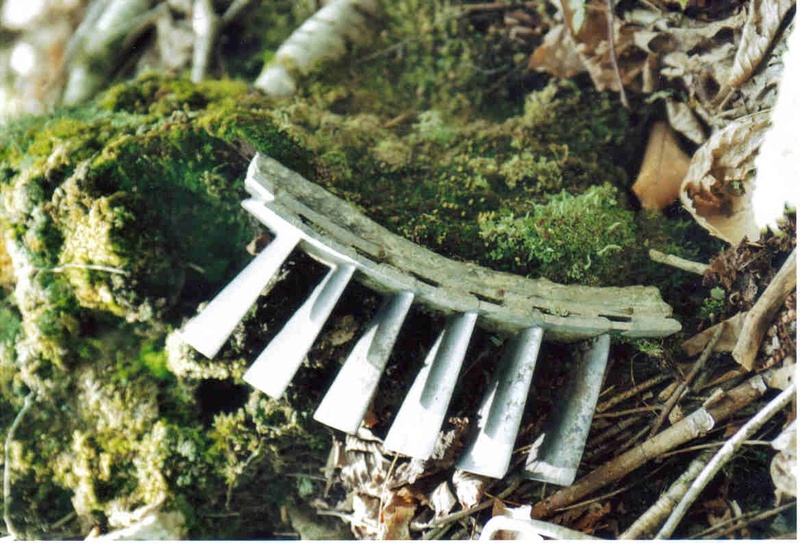 These pieces of fuselage skin are typical of most of the wreckage remaining at the scene. This crash was a forced landing gone bad, and not typical of most jet sites in Maine. The site is confined to a small area and there is no impact crater. The aircraft broke up into several large pieces as it slid through the trees. Part of the landing gear mechanism. Maine Aviation Historical Society memorial dedication hike in Auguts of 2003. 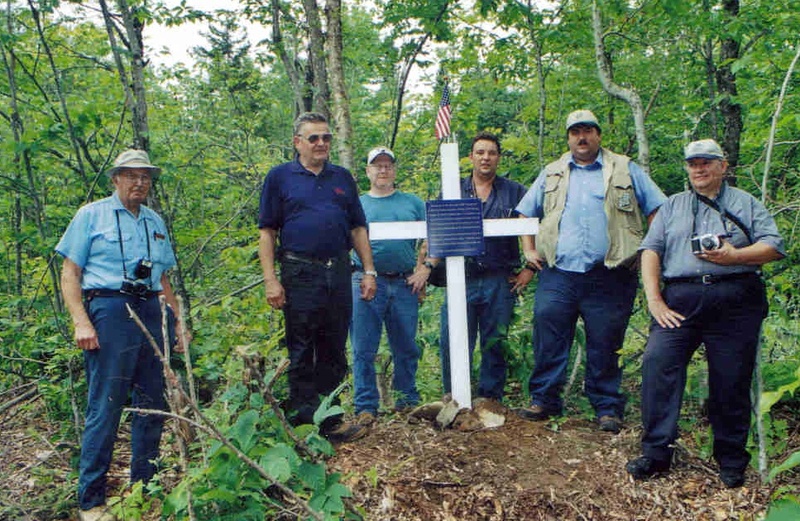 L to R : Jim Sodermark, the late Deli Hodgins, a retired Maine Army National Guard Warrant Officer who provided invaluable assistance in locating the site and communicating with the landowner, Kent Knowles, Mike Shaw, Peter Noddin, and Joe Quinn. Mike Cornett photo. 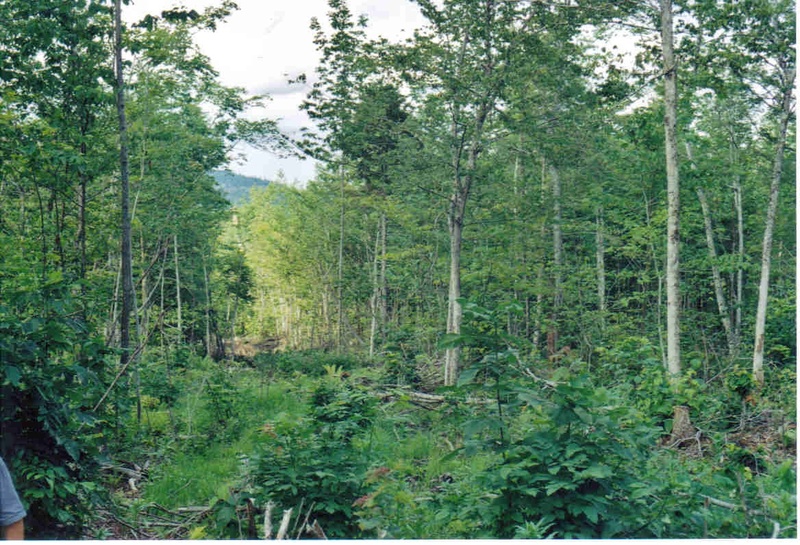 There is a housing subdivision being constructed along the edge of this site. The previous owner designated this site as a historic special area, to help preserve it.